When it comes to furniture, leather is one of the favorite choices when it comes to seating upholstery. Whether it is used for chairs or sofa, leather is great for dining and relaxing. Because of the luxury feeling it give to a room, furniture made out of leather are becoming popular nowadays especially for interior designers. They add leather furniture to their design. However, furniture made out of leather is quite expensive but it is worth it when you want to enhance a room. If you are planning to buy a sofa that is made out of leather, make sure that you know how to maintain and care for it. Make sure you know the things to avoid so that you can protect your leather sofa. It is advisable to clean and groom your leather sofa regularly. 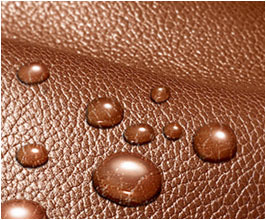 When caring for leather sofa, take note that it is a bit thinner compared to other kind of upholstery. Meaning to say, leathers are actually not strong enough to handle sharp objects and points of pressure so it is better to be careful when sitting on them. If you are a smoker, then it is important to remember that it is difficult to repair cigarettes burns in leather so it is better if you take precaution. Avoid leaving nicotine particles in the sofa because it can cause discoloration and premature aging. A leather sofa is obviously a great accent to your living room. It is can really enhance the beauty of your living room. You need to protect your leather sofa so that it can last for a long time. Remember that in order for sofa to reach its natural beauty, it is better that you take care of it. Keeping a leather sofa in a good condition is not that tough. If there are repairs that are needed, it is better to seek an advice from an expert when it comes to upholstery. * Avoid putting it in a place where it receives direct sunlight because it can dry out and crack open. * Avoid also putting it near heat radiator. * Avoid spilling liquids in your sofa because it can act like a sponge therefore seeping water into it. * If you are going to wipe it, use a rag cloth and make sure that it is moist. * Petroleum jelly can also help in softening the leather. Dab a small amount in cloth and the wipe it with dry cloth. Make sure you remove excess grease in area. * Use your sofa the right way. Don’t sit on its arm rest as this can cause distortion. * Keep the leather sofa away from the dust and dirt. Use leather creams to remove stains. This can improve the durability as well. * Never use strong detergent because it contains strong chemical that can ruin your sofa. * Usually your leather sofa can have a reclining mechanism. It is better if you are careful when using this so that you can avoid giving your leather abrasion scars.